Developing a consistent habit of prayer is not an easy task, at least not for me. It’s something I’ve always seemed to struggle with, either because I just didn’t make the time for it or I didn’t really know how to do it “right”. I guess I thought that you had to pray a certain way or a certain amount of times for it to be effective. I know now that there is no right or wrong way to pray but I still seem to struggle with making it a priority. So to help develop my habit of prayer, I sought out to come up with something to keep my prayers in. While I was in college, I often used a simple composition notebook and wrote prayers, verses, notes or other bible study related things in it. It was a great way to keep these things in one place but I was rarely consistent with it and it was not very organized. I still keep a notebook for notes and bible study but as far as prayers, it just doesn’t work well for me. After a lot of searching and trying various methods, I finally came across something called a mustard seed prayer journal. I loved how it is organized by different categories instead of days of the week. I think prayer journals set up by day can be great but it just doesn’t work for how I function. I don’t want to be “forced” to pray for one thing on a specific day and this method allowed for more flexibility which I like. So I took this concept and created my own journal from it. If you want to make your own, see my tutorial below. Decide which paper you want to use and where. You could easily just use the same design on both sides to make it simple. For mine, I used a stripe pattern on the back and brought it around the spine to the front. Then for the front I used a pattern in a complementary color. I also wanted to incorporate a favorite verse of mine to remind myself of God’s power and the effectiveness of prayer so I made a small printable to use on the front. Now it’s time to put it together. First, place your notebook over the paper so you see the underside of it. Trace around the notebook with your pencil. Then cut on the line. Do this for however many pieces you are using. I wrapped part of the back piece around the front to cover the spine, but you can also cut two pieces to cover the front and back and leave the spine as is. 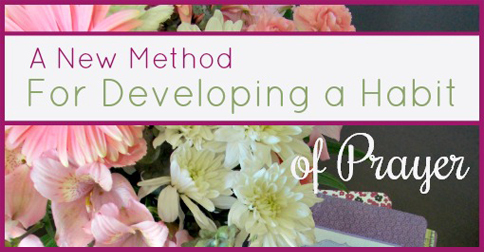 If you are using mod-podge, cover the surface with a layer and line up your paper in the correct position. Press down so that it stays in place. Wait a few minutes and if desired coat the top with another layer of mod-podge. I like to do this because it gives a smooth and shiny finish. If you are not using mod-podge, just adhere the paper to the notebook however you can to make it stay. Set aside until adhesive dries completely. Cut squares out of some of your leftover paper. Mine are about 2 inches by 2 inches, but you can adjust the size depending on the size of your notebook or your preference. Fold each square in half and label with the following: Thanks for, Sorry for, Please, Family, Friends, Others. Split up your pages as evenly as you can. Place your tabs on the first page of each section. Place each tab in descending order so that there is a tab on the first page. To attach, unfold the tab and tape it to one piece of paper. Fold over and tape the other side to the back of that same piece of paper. Be sure that you have enough room to leave the label visible when the notebook is closed. Now your done! Write prayer requests or prayers in the appropriate sections. When recording prayer requests, I write the date then the persons name if applicable and the request or other related notes. For more about how to use this notebook check out this post on Throne of Grace, where I first learned of this type of prayer journal. 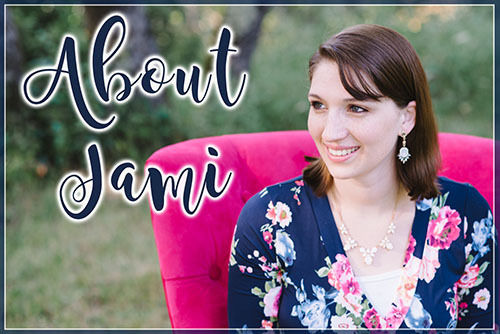 If you don’t want to go through the hassle of making your own journal, there are other ways you could organize your prayer life using a similar method. For a super easy and non crafty way to make a prayer journal like the one above, just use a thin binder with loose leaf paper and divider tabs. You could most likely gather all these supplies from your local dollar store so this would be an inexpensive project too! To make your journal, just label your tabs and fill with paper in between. You could even add other sections like a space for notes or journaling. I love having note cards on a binder ring for bible verses but they could also work for keeping prayers and prayer requests. Divide sections using different colors of note cards or make a title card for each section similar to the tabs used above. These would also be easier to carry around than a larger notebook which would be nice if you want a more compact version. Make use of your smart phone or tablet by keeping track of prayers on it. You can record things in a note app or use something like Evernote or Google Drive and make notebooks or documents for each of the sections. This would be a great paperless way to keep track of prayers. What I love about both of these apps is that you can access them on your computer and mobile device so you could type up something while on your regular computer but still access it anywhere from your phone. I love this method because it works for me. I like how I can just add requests and prayers to different sections of my notebook at any time. It also helps me keep better track of who I need to pray for. If someone asks for prayer I am more likely to write it in my notebook and actually pray for thier request that I would have been if I wasn’t using this method. However, If this type of method does no work for you then do something else! The most important thing to remember when it comes to prayer is not how to do it but just that you do! Remember that prayer is powerful whether you write it in a notebook or just silently utter your requests while your driving to the grocery store or doing dishes. The second annual Homemaking Ministries Online Conference 2015 pre-registration is now open!! Join us for 12 video sessions, over $200 in bonuses, a beautifully designed home management binder and more. The conference is live October 27-29, 2015 but after the sessions go live, you can watch anytime, anywhere, and on any device! The perfect conference for a busy homemaker on the go. 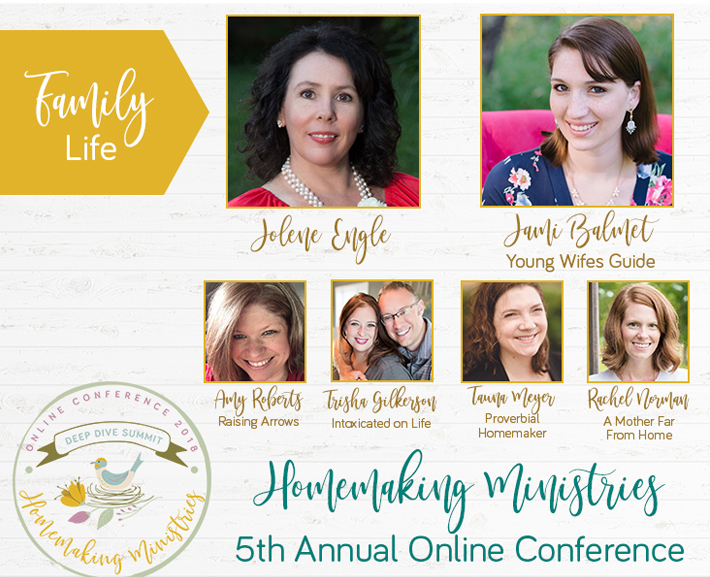 This year’s theme is The Ministry of Homemaking and we will be exploring topics such as prayer, homemaking schedules and routines, how we can find joy in our homemaking, spiritual disciplines for busy homemakers, and more! Plus, join our exclusive Facebook group as we share resources, tips, encouragement, and more. Find out more about the conference and pre-register here. So true that the key/purpose to having a prayer journal is to truly “employ” it. Thank you for encouraging others to be active and intentional pray-ers! Oooh, I love this AND I already have all the supplies! 😀 Making one this week! Could you elaborate on how Please differs from Family/Friends/Others? I’d appreciate your thought process. It’s probably very clear….but I’m missing it. Thanks! “Jesus knows what we need. His word declares that he will supply all our needs. This will truly be a blessing for me as a homemaker and wife, I am going to start my better and new Journal this week thank you. All the images are broken.